People who have hearing loss symptoms are not always aware of it. Family members or friends often are the first to notice the hearing loss and in most cases don’t say anything until it starts to cause communication problems with them. Many adults may be depressed because of how hearing loss is affecting their relationships and social life. 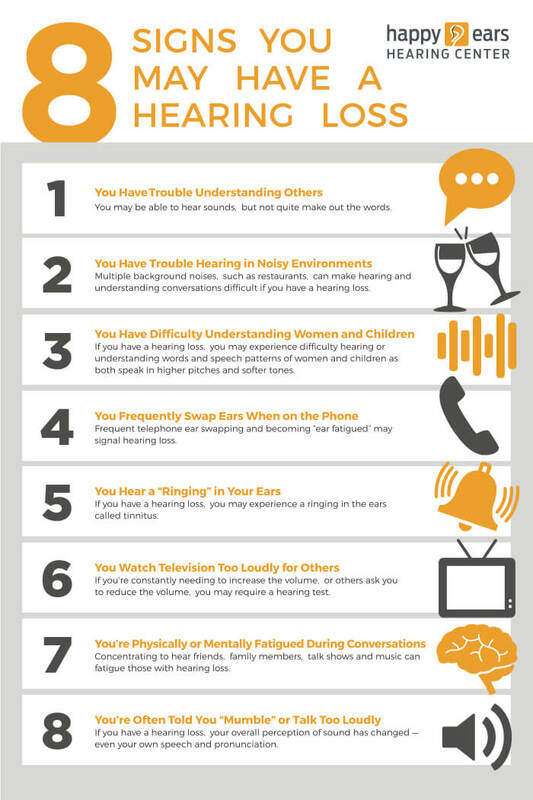 If you or a family member are experiencing any of these symptoms, it is important to schedule an appointment at one of our clinics with an audiologist for further testing. Difficulty understanding what people are saying, especially in background noise.